The process makes it tricky, strenuous and even expensive. Time is ticking on the Friday deadline for overseas ballots but for some Floridians abroad, their chance to participate was dashed before it began. Around 2.6 million eligible American voters live abroad, according to the Federal Voter Assistance program. In the 2014 midterms, only 4 percent of those people voted, compared with over 36 percent overall. What happens if election chiefs can't meet recount deadline? For those Floridians abroad who do choose to vote, which was roughly 19,800 this year, the process makes it tricky, strenuous and even expensive. 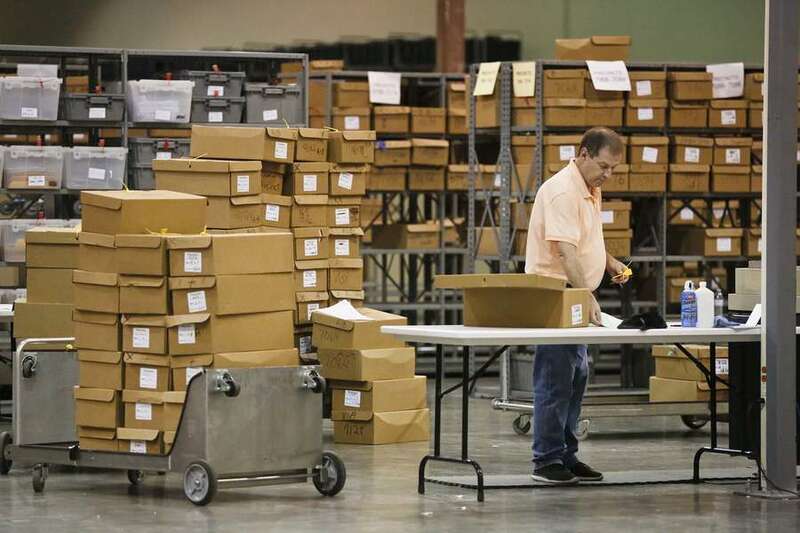 In some cases, overseas ballots sent to Florida on time are stuck in Customs, lost in the mail or in other words, may never be counted. Americans who choose to vote abroad can request an absentee ballot online by printing out a "Federal Post Card Application" from the Federal Voting Assistance Program's website. In Florida, voters can fax the form or print it out and mail it. Not all states allow votes by fax to be counted. All 67 supervisors of elections must send vote-by-mail ballots to anybody who requested one no later than 45 days before each election. The ballot could be mailed, faxed or emailed for the voter to print out and send back. If the voter provides an email address, they would be notified via email when their request has been received, the estimated date the ballot will be sent and a notification when their voted ballot is received. All supervisors in Florida met this deadline, said Sarah Revell, spokeswoman for Secretary of State Ken Detzner. The completed ballot must be returned no later than 7 p.m. on election night in the county where the voter is registered. Voters can also fax back the ballot and a signed voter's certificate. Additionally, a 10-day extension exists for overseas voters. The overseas voters' vote-by-mail ballot must be postmarked or dated by Election Day and received within 10 days of the election in order to be counted, provided the ballot is otherwise proper. For those who are not familiar with this process — students studying abroad, for instance — getting ballots from school to their home precinct can be strenuous and confusing. According to University of Florida political science professor Dan Smith, 41 percent of overseas voters are Democrats, 27 percent are Republicans and 30 percent are independent. Overseas voters are registered in nearly every Florida county, Smith said. The counties with the most are Miami-Dade (3,300), Broward (2,600), Palm Beach (1,600), Hillsborough (1,400) and Orange (1,000). Mary Schlichte, who lives in London but votes in Broward County, said she had a ballot emailed to her. She printed it, sent it back to Florida and paid $35 to track the envelope. 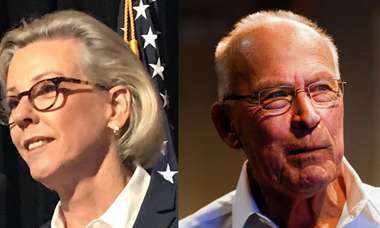 The day before the election, Schlichte received notice that her ballot was sitting in Customs in New York City. She said it was there for a week before being sent to a sorting facility in Opa-locka a few days after the election. The U.S. Postal Service investigated the facility for its handling of absentee ballots the Friday after the election to "verify that all ballots have been handled in accordance to USPS service standards." Schlichte said she found the whole ordeal to be suspicious, since she sent a birthday card to her father in Fort Lauderdale a week after she sent her ballot. The birthday card arrived the Saturday before the election. "It's really exhausting," Schlichte, 23, said. "I thought I had done everything right. I was kind of disappointed." Emily Cardinali is studying in Taipei, Taiwan, but votes in Marion County. Cardinali said she sent her ballot back on October 16 but never received notice that it was received or tabulated. Cardinali, who is studying at National Taiwan University, listed the return address as her parent's address in Ocala, but they never received a piece of rejected mail or notice that her ballot needed to be cured. Wesley Wilcox, the supervisor of elections in Cardinali's home county, said people voting overseas have to take "special considerations" and know their voting plan. If a ballot is undeliverable to the requested address, he would receive a notification. He never received a notification about Cardinali's ballot, he said. In the primary, Cardinali said her mail-in ballot — also sent from Taiwan — was tabulated on time. "I was pretty frustrated, mostly because this race is so close," Cardinali, 24, said. "When I found out my vote hadn't been tabulated, I was worried I had made a mistake." Meredith Rivers, a master's student at the University of Amsterdam, votes in Alachua County. She printed and sent a ballot a few weeks ago but was notified on Nov. 5 — the day before the election — that her envelope was stuck in Customs. As of Wednesday the ballot was still not delivered to Florida, said Rivers, who paid extra to track the envelope. Rivers, who studied political science at the University of Florida, said she has never been skeptical of the voting process until this election. She said she was disturbed by the way a package of gifts she sent home a few weeks ago went through Customs with ease, but an envelope marked "absentee ballot enclosed" got stuck along the way. "I have never felt that way before about an election," said Rivers, 22. "It's making me more cynical about the whole process in general. It's really hard not to be."